Double Nickel LC is a broad spectrum preventive biofungicide for control or suppression of fungal and bacterial plant diseases. 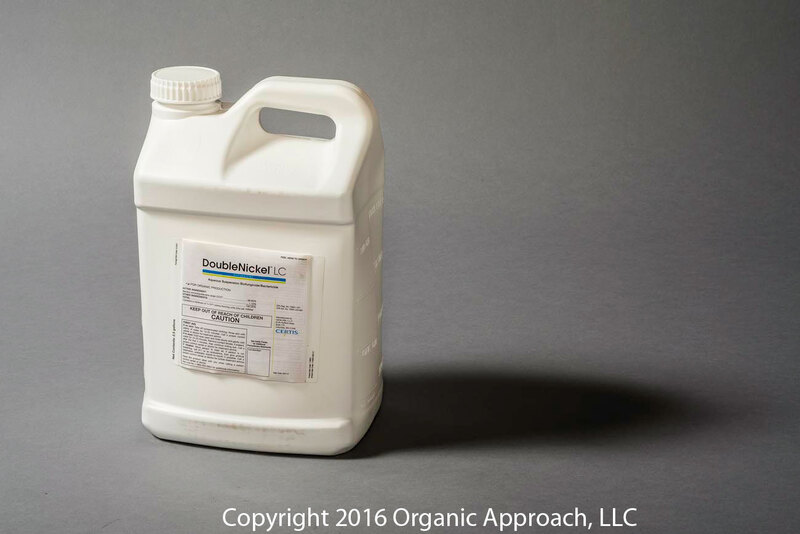 Double Nickel™ LC is a broad-spectrum preventative biofungicide/bactericide for control or suppression of fungal and bacterial plant diseases. The active ingredient of Double Nickel™ LC is a naturally occurring strain (D747) of the beneficial bacterium Bacillus amyloliquefaciens. Double Nickel™ LC also colonizes plant root hairs, preventing establishment of disease-causing fungi and bacteria. Double Nickel™ LC can be applied alone or in combination and/or rotation with chemical fungicides as a tool for integrated disease management in agricultural crops, ornamental and nursery plants, and turfgrass. Double Nickel™ LC offers a valuable tool for management of resistance to chemical fungicides through its multiple and unique modes of action. Double Nickel™ LC can be applied up to and including the day of harvest. Compatible with fertilizers, insecticides, herbicides, and rooting compounds. Mix the required amount of Double Nickel™ LC in water with sufficient agitation to maintain a uniform suspension in the spray or mixing tank. Tank should be cleaned prior to use. Do not use highly alkaline or highly acidic water to mix sprays. Use a buffering agent if necessary to maintain neutrality (pH 6 to 8) of water in the tank.